Subject: Managing the provision of a new surveillance radar system at Norwich International Airport. A Council led development, close to Norwich Airport, had the potential to cause unacceptable performance loss to the existing primary radar. Due of the age of the equipment, relocation was not considered possible and a new surveillance system was required. Norwich Airport Limited engaged Cyrrus to lead the design, specification, tender management and delivery of the new surveillance radar system, to guard against this potential loss of Airport capability. The new system, which included requirements for a primary radar, secondary surveillance data and a surveillance data processor, complete with a full range of safety nets, was required to be in service prior to the Council’s development activity. This created a tight timeframe for project delivery. The first priority was to identify potential sites that could accommodate the new surveillance radar and detail the supporting infrastructure requirements. Cyrrus compiled a site selection survey that identified and considered five different sites. By evaluating each site in terms of the available communications and power infrastructure, expected coverage (through modelling) and applying defined safeguarding criteria, the most appropriate site was selected. Working with airport staff and acting as the System Design Authority (SDA), Cyrrus documented the operational requirements for surveillance radar at Norwich Airport. In turn, this generated the high-level technical and process requirements against which the system would be procured. Cyrrus managed the end-end tender process, confirming compliance on a requirement by requirement basis and, having identified both technically and commercially acceptable solutions, contracts were awarded. Cyrrus staff undertook project management activities, while retaining the SDA role and providing technical oversight, conducting preliminary and detailed design reviews with the chosen suppliers. Cyrrus witnessed the Factory Acceptance Test for all equipment, highlighting a number of observations, and ensuring these were tracked through to conclusion. With the equipment installed on site, Cyrrus conducted Site Acceptance Testing and Flight Trial Analysis to ensure the equipment was fit for purpose and that the Operational Requirement had been met. The flight trials to prove performance of the installed primary radar, including the recording of surveillance data and its independent analysis, were defined and managed by Cyrrus. Full safety assurance documentation was completed and submitted to the regulator for approval. Following the successful completion of all installation, commissioning and acceptance testing, Cyrrus facilitated the technical handover of the equipment to engineering personnel, followed by operational handover to the Airport and entry into service. 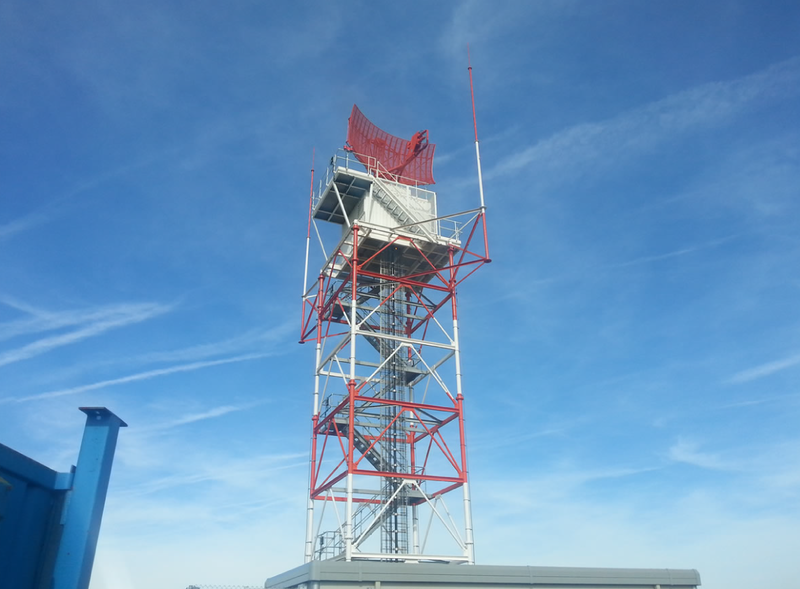 The surveillance radar is now fully operational and Cyrrus has been praised by both the Airport and the regulator for their delivery of the project.